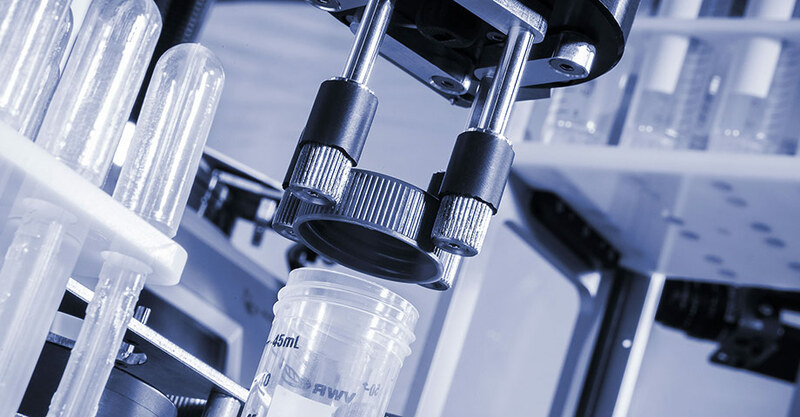 HTR is the only fully automated rheometer available. 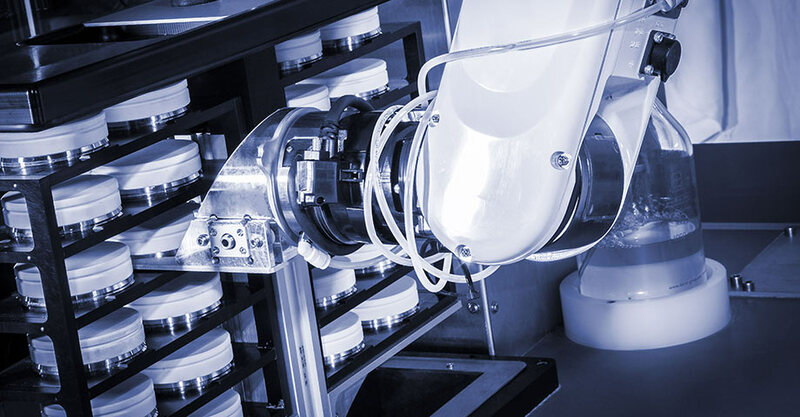 Rheological measurements are carried out by MCR rheometers in the high quality the instruments are known for, while a robot handles all additional measurement tasks like sample loading, sample trimming, and the cleaning of the upper and lower measuring system. 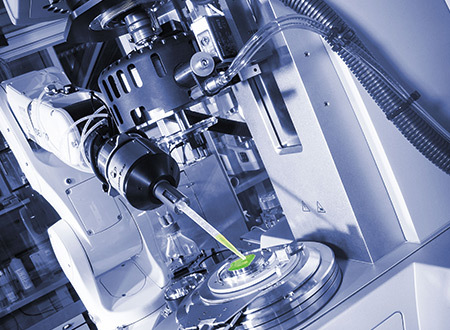 For the very first time the entire measuring procedure, from sample loading right through to data evaluation, is fully automated with Anton Paar’s high-throughput rheometry system. HTR 502 is intended for the automated rheological measurement of samples of low, medium, and high viscosity. 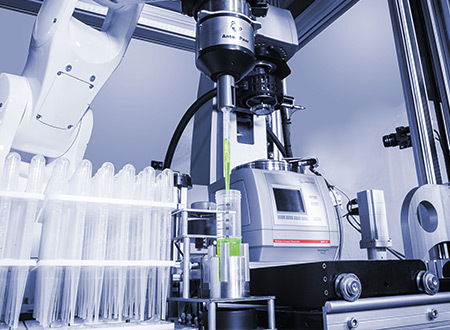 The device comes with a 6-axis robot with a multi-gripper tool which can handle measurement geometries (CC, CP, and PP), sample vials, pipettes, and trim blades. 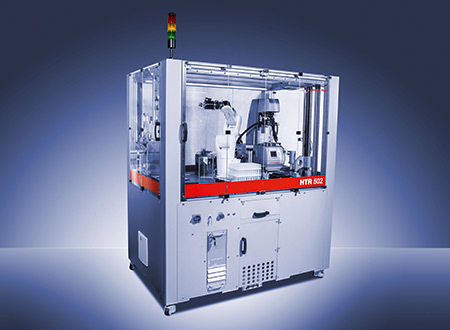 The MCR 502 rheometer is equipped with an automatic measurement system and a vacuum clamping system for use in the robotic cell. It comes with the full feature setup known from the stand-alone rheometers configured for your specific automation needs. 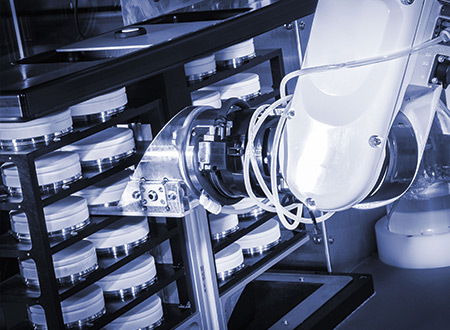 The 6-axis robot handles viscous, paste-like, and solid samples, 24 hours per day, 52 weeks per year. All used measuring geometries are exchanged and cleaned automatically with the corresponding module. The method development takes place with the rheometer software and allows an automated analysis, printout, and export of your measuring data. With the software you are able to use individual sets of measuring and analysis parameters for any number of samples. The export of your measurement data can be done via LIMS or ERP as a CSV file or SQL database. 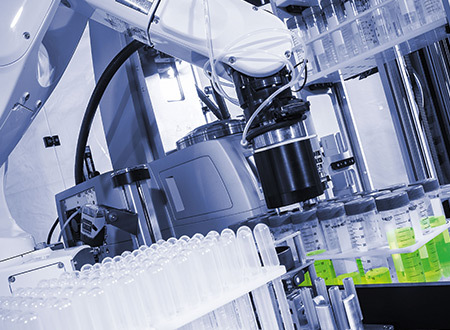 Moreover, methods and data are interchangeable between the lab and the automation equipment.